A single moment can last forever in the memory . . .
Now when the memory is of something special, a time or an event that we hold dear, reliving the experience can feel almost as good as the actual moment did. 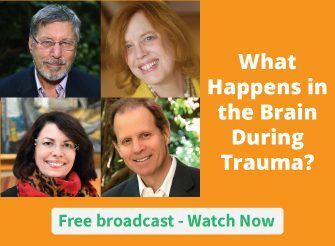 But when someone is remembering a traumatic experience, that memory can trigger a painful cycle of fear, anger, helplessness, and shame . . .
. . . and this, in turn, can slow the healing process for patients recovering from trauma. So can traumatic memories be changed? In the video below, Peter Levine, PhD shares some key insights. Check it out – it’s about three and a half minutes. What techniques have you found effective in helping clients work with traumatic memories? Please leave a comment below. If experiences were lies, face with the truth when remembering. Where are you? How can I access your services to help?